This week, I’m talking toners. 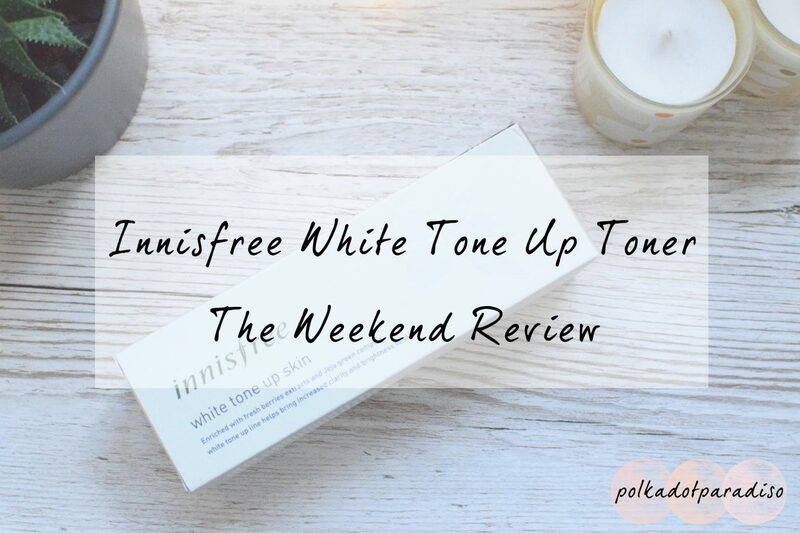 I bought the Innisfree White Tone Up back in August and have been using it for around six weeks now. Like the eye cream in the same range, this toner is all about skin brightening. This hydrating toner contains pure berry extracts that contain antioxidants to brighten the skin. It cost me around £12.50 through my usual Ebay shop and retails on the Innisfree website for £16. This is probably on the more expensive side of Korean Beauty that I’ve bought, but you do get a sizable bottle (200ml) for the money. The instructions tell you to pour some on your hands and then sweep all over your face. I have read some reviewers choose to use the traditional toner application method of putting it on cotton wool. I prefer using my hands. While it is messier to do it that way, my skin feels so much more hydrated afterwards. This milky white liquid goes a long way. Given the large hole in the top of the bottle it is easy to go overboard on the application. I definitely have to leave my skin a minute or so before doing the next step of my routine, just to give it time to sink in. I’ve been using this twice a day in my routine – am and pm. On the whole though I would say my skin looks brighter and there’s less greyness since using this. I’ve also used barely any in the six weeks of use, so it’s certainly going to last me a while. I’m really happy with this and when it finally runs out (in about three months I reckon) I think I’ll be buying more. Are there any toners you love? Let me know in the comments below! This post contains affiliate links, they don’t cost anything to follow but do help support the blog!